The leaders of two European automotive industry strategic partners, Dieter Zietsche, the president of Daimler, and Carlos Ghons, the president of the Renault-Nissan alliance, recently announced that, in the near future, two new Infiniti models in Mexico will be assembled in Mexico. The work will be done in Nissans new $2.5 billion manufacturing complex located in Aguascalientes. Both the Q-30 and QX-30 are based on the compact, front-wheel-drive platform that underpins the Mercedes-Benz CLA and GLA class. While the former is a luxury compact, the latter will be a crossover vehicle. The partnership between Renault-Nissan and Daimler was established in 2010, and, thus far, has been a successful one. Presently in addition to the two Infiniti models that are to be assembled in Mexico, the companies are working jointly to develop motors and vehicle platforms, as well as to develop a network of suppliers and markets from and to which they can buy and sell. Some of the platforms and motors will be developed and assembled in Mexico. Others will be products that will be assembled in a plant that the partnership has established in Slovenia. The two heads of the partnership stressed that the initiative to manufacturer the Q-30 and QX-30 in Mexico is amongst the groups’ top priorities. In terms of specific contributions to the new Infiniti models that will be assembled in Mexico, Daimler will supply the motors and gearboxes. The company will do this in exchange for Renault’s provision of motors that will be incorporated into Mercedes-Benz Class C vehicles. 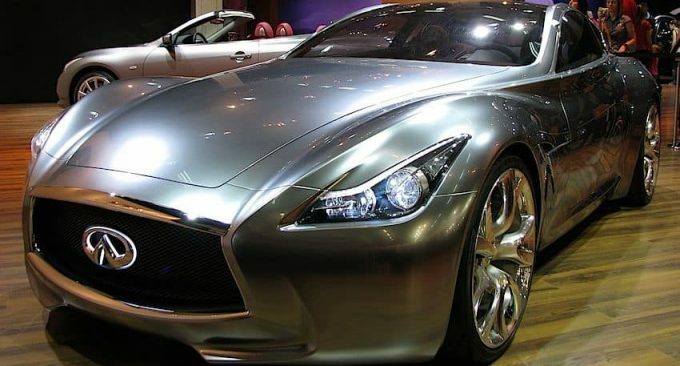 Nissan received license from Daimler the build of the Q-30s and the QX-30s that will be assembled in Mexico by manufacturing their nine speed automatic transmissions. The joint effort will result in the creation of seven hundred direct labor jobs. The Nissan plant in Aguascalientes Mexico is the third that the company has built in the country. Its addition gave Nissan the capacity to up the number of vehicles that are assembled in Mexico to eight-hundred and fifty thousand on an annual basis. Construction of the Aguascalientes manufacturing center began in April of 2012, and company officials inaugurated the complex in November of 2013.